In our families and lives we go through periods where we need the help of others and times were we need to be the caregiver. Within a family unit (whether biological or developed through time and circumstance) we tend to balance these periods out throughout our life span. Some forms of being a caretaker are expected; planning out a pregnancy, having an infant and raising them through childhood, adjusting through their developing various levels of self sufficiency and independence, to the point where they can ‘hopefully’ become fully functioning adults and completely care for themselves. We ‘expect’ that at some point our parents will age and potentially need us to help them through their day to day experiences: taking on home maintenance, helping with bills, driving them to appointments or just being a companion when they struggle with loneliness. Sometimes, however, we get the unexpected; a child with mental or physical disabilities that requires ongoing care into adulthood, a spouse or sibling that develops a major and debilitating illness, or a parent that is no longer able to function or care for their own basic needs and relies on you completely. In these situations we may end up taking on more than we anticipated and find ourselves being emotionally and physically drained in the process. 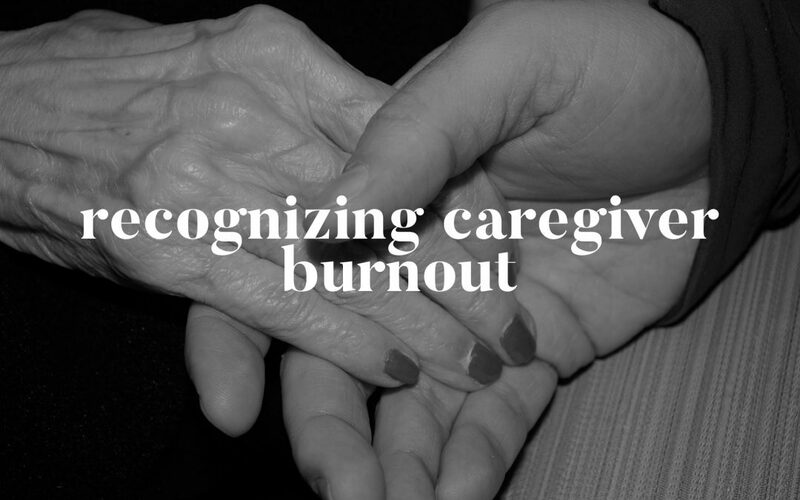 We are never fully prepared for the major changes that being a caregiver for a loved one creates in our own lives. You are serving a great purpose and duty but not without a personal impact. A state of physical, emotional and mental exhaustion. Feeling worn out after extended periods of time taking care of another’s daily needs. Finding yourself resenting your loved one, family members who aren’t ‘helping’, and those that are able to have more ‘worry free’ daily lives. Finding yourself wanting to ‘run away’, escape, or shut down completely. Unreasonable Expectations; whether this is expectations of yourself and what you should be able to manage/ balance/ or handle. Or an expectation of others stepping up, stepping in or helping. Ask for help! This doesn’t; mean you aren’t good enough or have failed in any way. We ALL need help sometimes! Take care of yourself! Follow up with your medical appointments, remember your vitamins, eat healthy, and get exercise when you can. Talk to the doctors, get a realistic understanding of your loved ones illness, abilities and anticipated progression. Learn how to take breaks; this may be stopping for coffee when you get coverage to go to the grocery store, taking a time out in your bedroom while your loved one is watching tv, taking an extra long shower (or soaking bath), or understanding its ok if the dishes aren’t done right after dinner if you are feeling burned out. Schedule in times for yourself, this may have to be getting up earlier or going to bed later just to get a few ‘quiet’ moments but it’s worth it. Shape a Positive Environment: Put on music, pick TV programs that are inspiring rather than draining, learn a new joke every day, read a short daily devotional and put positive quotes up in the kitchen. Explore local support services; are there any programs available to bring meals, help with transportation, or give respite care? If you are involved with a church can their deacons or members help in any way? Ask friends or family to help with specific tasks; make a meal once a week, run an errand, wash laundry, mow the grass, shovel the walk…. Check with your work to see if it has any FMLA or flex time available so that you can take some downtime for yourself. It is near impossible to be ‘on duty’ all night and get to work smiling and chipper the next day. Seek out supports! 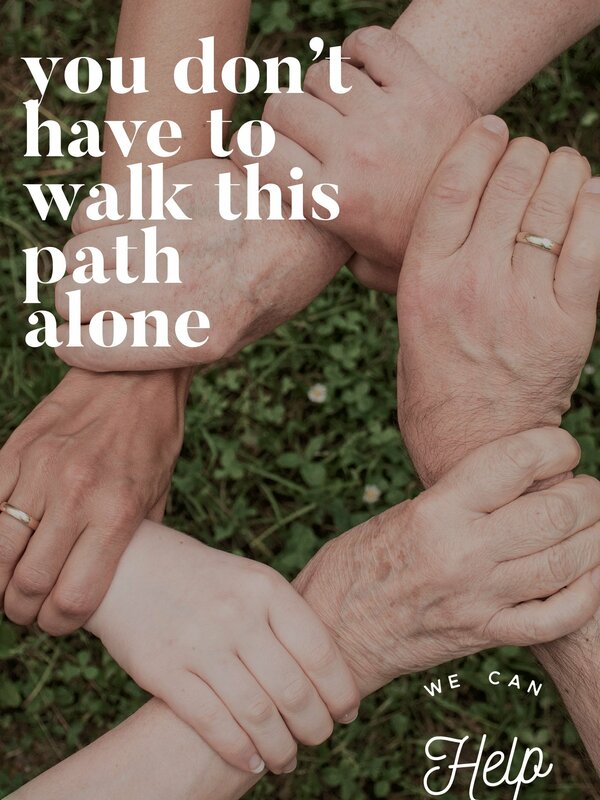 Whether this is an in person support group or online forum having the ability to communicate with other people that are in care giving roles in a huge and helpful resource. Many Hospice and medical programs will have support groups that meet monthly. See a therapist, counseling can be a great resource when your are overwhelmed with taking care of others; they can be that one person that reminds you how to find balance and care for yourself. Schedule an Appt Today! Have an understanding for what is ‘too much’ and when you may need to look at more inclusive care for your loved one. That doesn’t mean that you don’t love them but that you recognize that you are no longer the best option to care for them. How do support groups for caregivers help? Develop advocacy and increased care/ resources for loved ones moving forward. Know any helpful resources in our community? Please list it in our comments and we will add it to this blog. At Angelus we are working hard to link people to supports that help! Sometimes we need the encouragement and support of a professional outside of our current situation. Our Therapists are available to be that extra level of support for you. Don’t feel able to take the time away for your own self care? Ask about virtual sessions!